EU Prophecy News: The "Rapture"
The "rapture" is an issue that has emerged in the church recently and has been a source of much prophetic debate. Nevertheless, the Bible does provide a very clear answer to the rapture question in my opinion and certainly does teach one. However, I think the word "rapture" is a bit of a trick. If we read Paul in 1 Thessalonians, it is synonymous with "the coming" or the "day of the Lord." As we all know, the day of the Lord is more than one day. Furthermore, the Second Coming is not inaugurated by the battle of Armageddon. Some have equated the term "Second Coming" with the final Armageddon assault itself. I disagree with this, and think that "Second Coming" launches at the rapture, when God makes his presence known to everyone, and removes us from this earth for a short time to protect us from his wrath. Jesus did many things at his first coming, over a period of many days and weeks. Same with the "Second Coming." It will have a very definite beginning and will continue for many days/weeks/months and maybe years. In 1 Thessalonians 4:12-5:13, the apostle Paul describes an event in which the following things take place. He refers to it as the "coming of the Lord" so this is the term I prefer. This event in which Christians fly up into the air with Jesus is the "rapture." He goes on to refer to this rapture event as the "Day of the Lord," saying that it will be extremely unexpected. He also elaborates on what happens to the people on earth once the day of the Lord begins. He says that they will be saying "peace and safety," but they will get "sudden destruction" instead. So, he is basically saying that once the rapture happens, the people on earth will suddenly face God's wrath during the Day of the Lord. This is reinforced by the fact that the Old Testament teaches that the "Day of the Lord" is the time of God's wrath on earth. Paul says that the really cool thing is that Jesus rescues us from this wrath. Nevertheless, the Thessalonians were very confused about the second coming, so Paul had to write them another letter. They had thought the Day of the Lord had already come and they were in the time of God's wrath. Paul had already defined the Rapture event in 1 Thessalonians by referring to it as the "Day of the Lord." However, in 2 Thessalonians 2, he says this Day of the Lord cannot happen until two events take place. Since Paul defines the rapture event as the "Day of the Lord," he is saying that the rapture cannot take place until two events occur first. Jesus description of his second coming in Matthew 24 very much parallels the order of events described by Paul. He says that his coming is sudden, unexpected, and unknown. He even uses the same comparison, to a thief breaking into a house. So here, we see Jesus put the order of end time events in the same order that Paul does. The second coming happens on an unknown date, but will not happen until the falling away happens first and the Antichrist desecrates the temple. Nevertheless, the book of Daniel very clearly places this "abomination that causes desolation" as occurring halfway into a seven year deal between the Antichrist and Israel. So, we can know when the Antichrist is revealed, but we cannot know when Jesus comes back. We have already seen that Jesus comes back on an unspecified day after the Antichrist is revealed. However, the question inevitably raises, how long after that event will we have to wait? Do we have any approximate idea on how long this will be? The first thing we can know is that it will not exceed about 3.5 years from abomination of desolation until the second coming. Daniel 9:24-27 seems to indicate that the time of Messiah's rule on earth will have started by the time the seven years have ended. Nevertheless, God's wrath takes at minimum, 5 months. This is the case because the 5th trumpet involves demonic locusts torturing those who aren't on God's team for 5 months. This takes us down to about 3 years. But can we get any more specific? Jesus says that as soon as the abomination of desolation occurs (i.e. the Antichrist desecrates the temple), the Jews should flee to the mountains. However, in Luke 17, Jesus makes a very similar statement, but applies it to the second coming. So Jesus uses extremely similar wording in both passages. He uses the same language about fleeing the abomination of desolation and applies it to the day of the second coming. This is basically implying that on the day Jesus comes back, it is a still relevant command to flee the abomination of desolation. This implies that the second coming and abomination of desolation are extremely close, perhaps within days or weeks of each other. The book of Zechariah describes a similar event. Here all the nations gather together to fight Jerusalem and the Jews flee. However, God himself arrives, creating a valley in which they are able to flee. I will gather all the nations to Jerusalem to fight against it; the city will be captured, the houses ransacked, and the women raped. Half of the city will go into exile, but the rest of the people will not be taken from the city. Then the LORD will go out and fight against those nations, as he fights in the day of battle. 4 On that day his feet will stand on the Mount of Olives, east of Jerusalem, and the Mount of Olives will be split in two from east to west, forming a great valley, with half of the mountain moving north and half moving south. You will flee by my mountain valley, for it will extend to Azel. You will flee as you fled from the earthquake in the days of Uzziah king of Judah. Then the LORD my God will come, and all the holy ones with him. (Zechariah 12:2-5; emphasis added). (I realize that Zechariah may speak about separate, time-separated, prophetic events in the same passage, but in my opinion, the passage gives the feeling that God at least might intervene in short order after the assault on Jerusalem). In Revelation 12, it describes the Jews fleeing from Satan and hide in the desert for 1,260 days. The above passage shows that, even before this fleeing is complete, the second coming takes place. For those of us who believe we are absent during the time of wrath, these activities sound very wrathful to me!! It says the beast rules for 42 months. It says this occurs after Satan falls to capture Israel as she flees to the desert. This means the 42 months do not even begin until Israel has completed her flight. Furthermore, many believe the prophetic ministry of the two witnesses is concurrent with the 42 month reign of the beast. This means they do not start their ministry until the Jews have made safe haven in the desert. This means there is a very short period of time from the abomination of desolation (revealing of the Antichrist), where the Jews flee to the desert, and the Second Coming subsequently takes place. How long would this be? We have already seen that it is a very short period of time. Daniel might give us a clue. Perhaps there is a short 30 day window before the 1260 days of protection begin. Perhaps this is the window of time when the Jews flee to the desert, and God intervenes and makes His presence known. I still have a lot of my own personal reservations about this viewpoint. In my mind, it is much more tentative. However, I hope it might give some insight as to how long it will be between the revealing of the Antichrist and the Second Coming/Day of the Lord/Rapture. I will post 2 posts as it says the original was too long haha. The part where it says "demonic locusts torturing those who aren't on God's team for 5 months" I have read a few articles over the years that the visions of those are actually black hawk helicopters or similar, I read that back when they were seeing events from the future they used animals at their time to represent them. And if the blackhawks used chemical weapons they can actually put people out of action for months. In my opinion the rapture will be pre-wrath well i hope :). 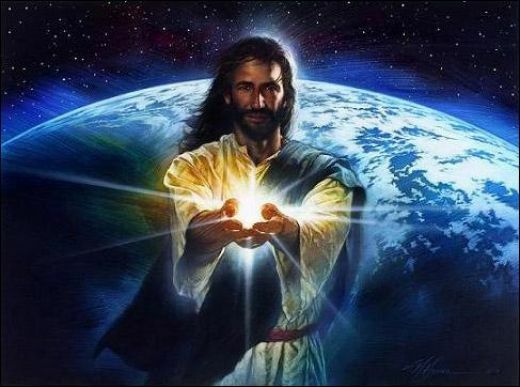 People around the world including allot of Christians will have no idea that the Anti-Christ is alive and the world will arrive to Armageddon without realizing that Jesus is about to appear in spite of all the signs of His return. (1 Thess. 5:3) and Matthew also states that the majority of the world will have no idea what is happening until the Day of the Lord. This assures that imminence is associated only with those people not watching. It also confirms that the coming like a thief is synonymous with the "Day of the LORD." We see that the imminent ("sudden") factor is, not just the Return, but specifically the destruction. And, the point is, if sudden destruction occurs at Armageddon, then our view of the tribulation period should be consistent. That is, the tribulation period cannot be Destruction, for Destruction arrives only as of the Day of the Lord. 38 For as in the days that were before the flood they were eating and drinking, marrying and giving in marriage, until the day that Noah entered into the ark, 39 And knew not until the flood came, and took them all away; so shall also the coming of the Son of man be. The Anti-Christ won’t reveal himself that blatantly unlike a lot of people think. There needs to be an army fighting with him against Israel and if people honestly knew who the Anti-Christ really was I’m sure most people in their right mind wouldn’t follow him. It makes no sense him revealing himself as Satan or there wouldn’t be peace or safety there would be riots and chaos. As far as the AOD is concerned all that takes is a political speech and who said there has to be cameras or anything present? I Think the best indication is the 2 witnesses but then again why would the media even show 2 old men standing around when they can show lady gaga breaking a nail. And besides the world rejoices when the 2 witnesses are killed and that makes me believe that the most of the world up until then still have no idea who they really are also no idea about the Anti-Christ. Their minds will change when the 2 witnesses resurrect. I’m not sure if we will even see the AOD happen when it does the Anti-Christ will try his best to hide his true self especially from the Elect. The bible does say when that happens get out of Israel so maybe only some people in that region will see the actual AOD speech or whatever it is. Christians watching will surely find out but still Satan is the master of hiding stuff and it’s not in his best interest to reveal himself as the Anti-Christ right up till Armageddon and Christians who do try to tell people will be called crazy. As we all know the Anti-Christ takes his Kingdom by Flatteries not by force, all the people out there looking for a Tyrant is the wrong way to go in my opinion. Regarding the Mark of the Beast which I believe will be in the latter part of the Great Tribulation. The bible says Christians will be deceived and I would think that a lot of Christians will more than likely get the mark as well. And as i have said on a few sites over the years.. The mark is more than likely a test from the Lord rather than Satan’s way of controlling the population. Most people on the planet aren’t Christians anyway so why would Satan care if people got the mark or not due the fact they are already condemned to God’s Wrath by not accepting Jesus in the first place. For christians the mark will be the real test.. Will people gladly take it in the name of security and deny God or will they say NO and suffer for the Lord, I'm sure there is a massive amount of so called christians who will take the mark to feed their kids. Also the pre-trib Christians will say well we haven't been raptured yet so this cant be the mark and will take it. Very good insight. The world is all ready in strife people are so concerned bout being fashionable with the latest products, over taking u on the road even when you are doing the speed limit, busy working i myself am a single mum pregnant with number 6 recently separated against my will but i pray for him every day. I also have fibromilga and yet no one is here to give me a hand only to lecture me or suggest services i wonder were the love of the church has gone. I am convicted of wrongfully judging people in your situation. You sound like a true Christian. There are so many single moms out there who would not be godly and submit to any lordship from their husbands that if often seems to me that the world is filled with single moms. Probably an awful lot of single Christian Moms had husbands who have gone after other women in lust. That is why a few such as myself have grown cold to helping and providing love from the church. I am properly rebuked and will seek to show the love of Christ. God Bless should you return to read this. I used to be mid-trib, but I think pre-trib because of the 7 day marriage feast. As for Matthew 24, Jesus is speaking to the Jewish nation, not the church because he warns them to pray that the be not with Child in that day that they Flee Judea. In Rev. 12 the Woman that flees to the wilderness and is protected by God for 1260 days is Israel. Apostisia actually means to forsake/leave/desert. Paul is telling the Thessalonians not to believe a lie, that they were left behind unto the day of the Lord/Judgment Day, and had already spoken unto them about a Gathering unto Christ that would come first ( a departing of the church ) a falling away ( The KJV used falling away, before that most bibles used depart ). So the Man of Sin will not be revealed until the Departing of the Church and Holy Spirit that restrains.